Does water only drip from your faucet, or does the shower head spit out a weak drizzle? These handy tips can help you diagnose and cure your low water pressure problem. Low water pressure can be a real annoyance—the shower subsides to a trickle, the washing machine takes eons to fill, and the dribble from the faucet can’t even manage to rinse leftover cereal from the breakfast bowl. If the oomph has gone out of your plumbing, you can try several things before calling in a pro. The first step in fixing the problem is determining its cause. Let’s say that you’ve recently purchased a home with low water pressure. First consult with neighbors to find out whether the issue plagues the entire community. If it does, you can install a water pressure booster, which operates by increasing the pressure of water on its way from the main water line to your kitchen and bathroom fixtures. In situations where the neighbors have good pressure but you don’t, the culprit may be a water pressure reducing valve. A previous owner may have had a regulator added to limit the force of water diverted from the municipal supply line. Determine whether such a valve exists at your home; if you discover one, ask a plumber to adjust the setting so that it allows a higher flow rate. No water pressure reducing valve? Confirm that the main shut-off valve is open all the way; if it’s not, you can adjust it yourself, without having to hire a plumber. 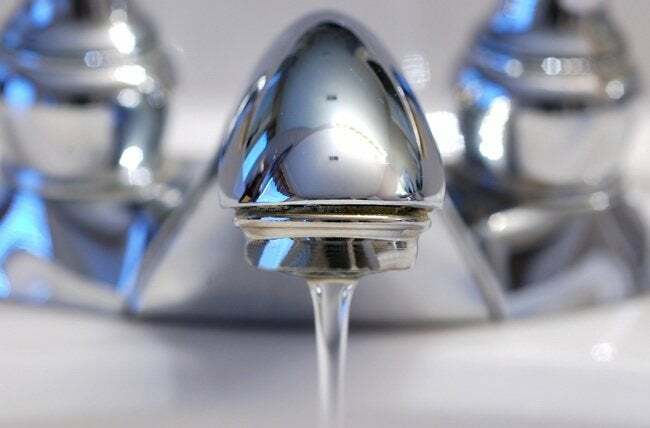 Yet another possible cause of low water pressure is a leak in the main. Check your basement or garage for visual evidence of a leak, or head outdoors to inspect the ground where your main meets the local supply. Assuming the weather has been dry, a wet spot here suggests the need for professional assistance. In a home with otherwise adequate water pressure, it’s not uncommon for one or two fixtures to trickle weakly when they should powerfully cascade. A poorly performing faucet is likely to have a clogged aerator. Unscrew the nozzle and look for signs of buildup. If the piece needs to be cleaned, soak it in a vinegar-water solution; if that doesn’t work, buy a replacement (they’re inexpensive). While the aerator is off, turn on the faucet to be sure you’ve pinpointed the issue. If low water pressure persists, the problem may not be the aerator after all but rather a clog in the line to the sink. Especially prevalent in older homes with galvanized piping (within which mineral deposits accumulate over time), clogged lines are best handled by a plumber. Low water pressure in the shower? 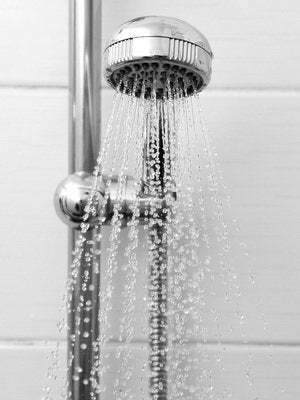 Chances are good your shower head has a clogged nozzle. Unscrew the head and soak it in a vinegar-water solution, or if it seems too far gone, install a replacement. If you experience low pressure only from the hot water outputs in your house, blame it on your water heater. First, make sure the shut-off valve to the tank is fully open. If it already is, or if opening it completely doesn’t help matters, call in a plumber to evaluate the appliance.